Andrew Winnegar provides consultation for the Southwest ADA Center on employment, independent living, rehabilitation research, assistive technology, vocational rehabilitation and Native American Outreach. He represents the Center as an Advisory Board member of the New Mexico Technology Assistance Program. He also provides technical assistance for the Consortia of Administrators for Native American Rehabilitation (CANAR) through an agreement with the Center. He is a graduate of the University of North Texas and the University of Wisconsin-Stout holding a Master’s Degree in Vocational Rehabilitation. 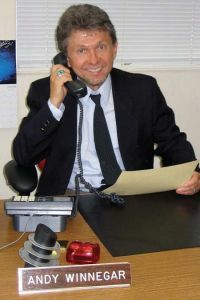 Andy’s career in the field of rehabilitation includes working in Independent Living, community rehabilitation, public schools and as the Deputy Director for the New Mexico Division of Vocational Rehabilitation for twenty years. In that capacity, he served as Principal Investigator for many innovative federal grant programs. Andy has a long history with the ILRU and the Southwest ADA Center. He presented their Small Business Reasonable Accommodation Plan at the 2010 RSA Employment Conference. He was also honored as the 2007 RESNA (Rehabilitation Engineer and Assistive Technology Society of North America) Conference, Don Ross Invited Lecturer – Early Deployment of Reasonable Accommodations for State Government Workers.